Famous as, but so much more than, managers of The Who, swinging sixties faces Kit Lambert and Chris Stamp were revolutionary figures in pop culture. They were also lovable. So this fascinating documentary — packed by cinematographer-turned-documentarian James D Cooper with a kaleidoscope of archive footage and informed by illuminating, funny and affectionate interviews — can scarcely fail to entertain and charm. The two were an odd couple you could not make up. Lambert was the sophisticated posho, a public schooled, Oxford graduate son of a family distinguished in the arts (his father was conductor and composer Constant Lambert, his godparents were Sir William Walton and Dame Margot Fonteyn). Stamp was the working class, East Ender son of a tugboat captain, and was a directionless teen tearaway until his big brother, actor Terence, suggested he take a job backstage at the Royal Ballet, where he could satisfy his chief interest, pulling birds, while earning a salary. 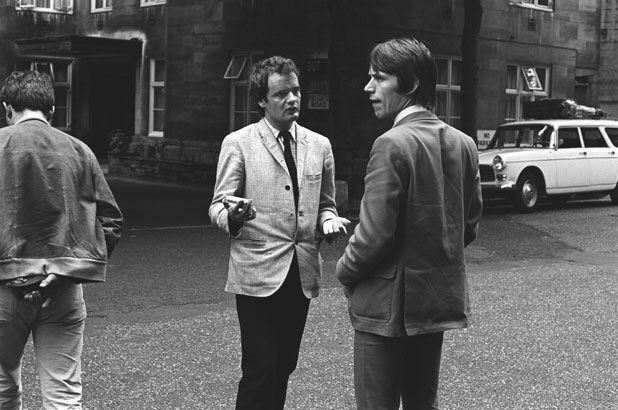 Cut to 1962 when the two, by then bitten by the showbiz bug, met at Shepperton Studios, both assistant directors beguiled by the New Wave and keen to make their own films. The elegant, gay Lambert and girl crazy mod Stamp clicked immediately and conceived a mad / genius ambition. Neither of them knew anything about pop music, but they decided to find a group with potential, groom them and steer them to stardom, recording the entire process as a film. In a West London pub they found The High Numbers — Pete Townshend, Roger Daltrey, Keith Moon and John Entwistle. The rest was music history and a rock opera of fame, riches, comedy, tragedy and great songs. Thank heavens Cooper got this together, filming a marvellous series of sessions with Stamp before his death in 2012 (Lambert died at 45 in 1981). After hearing Townshend, Daltrey, Terence Stamp and others on the partnership and the phenomenon you’ll miss them too. Selected release from Fri 15 May.